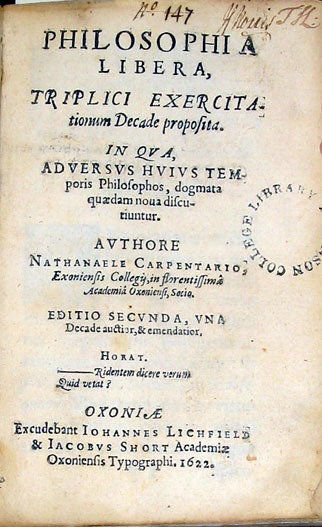 Carpenter, Nathaniel. Philosophia Libera, Triplici Exercitationum Decade proposita. Oxford: Iohannes Lichfield & Iacobvs Short, 1622.